We knew we made the right decision to head into downtown Roanoke VA when we were greeted with these fabulous vintage signs lighting up the night sky. My photos aren’t the best- but I think you’ll agree that the signs themselves pretty fab. Just off the 581 exit when we were heading towards the Texas Tavern, these two signs first appear to be right next to each other but are really on different buildings. 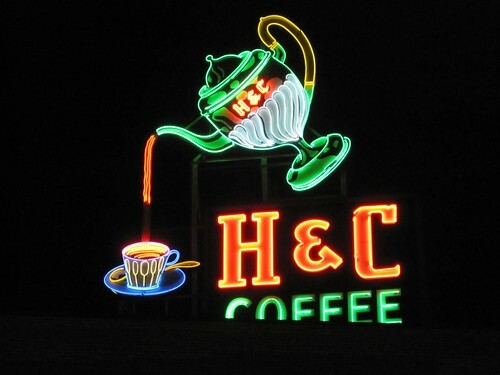 The H & C Coffee Sign is an animated sign, blinking on and off and giving the appearance that the coffee is pouring out of the tipped spout. H & C Coffee is a Roanoke based coffee brand, started in 1927 by two brothers Harold and Clarence. You can see some other views of this sign here on Flickr, with this daylight view by Debbie at PhotoVirginia.com being one of my faves. According to her caption “A few years back a group of citizens got together and raised thousands of dollars to repair and keep this sign in Roanoke”. Love! 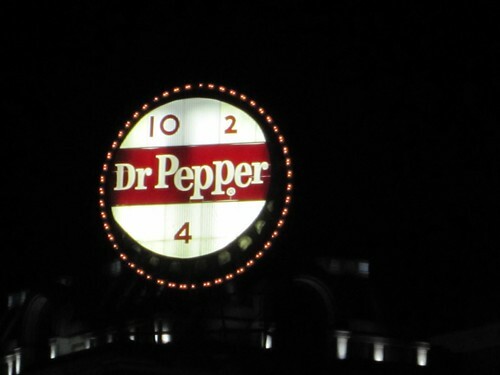 The Doctor Pepper Sign right next door looks like a giant bottle cap. Again, Debbie at PhotoVirginia.com has done a wonderful job of capturing this sign in the daylight so you can really see the details. 10, 2, and 4. Those are the times of the day (assuming you start work at 6 AM), that your body starts to lag. This is based on a study commissioned by ‘Dr. Pepper’ indicated that a ‘pick me up’ drink such as Dr. Pepper, would raise the blood sugar level and therefore your productivity. And finally, it was only happenstance that we saw this last sign, as the location was on my map but it was too late to properly check out the restaurant. But as luck would have it we got to see the sign as we were filling the RetroRoadmobile with gas before heading back onto the highway. These unexpected roadside finds are another reason why it’s good to get off the highway even on a long journey, you never know what you’ll discover! The Texas Tavern in Roanoke VA is neither in Texas nor a Tavern – discuss. 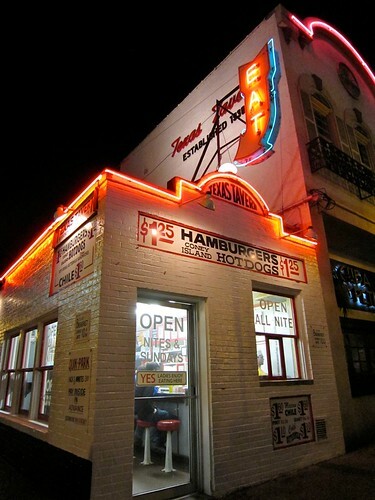 BUT it is a fabulously photogenic place to get a late night cheesburger or hot dog to eat on a RetroRoadtrip especially because they’re open 24 hours a day. Opened in 1930 the Texas Tavern is family owned and operated by the great-great grandson of the original owner. I’m assuming the Texas part has to do with their recipe for chili (which we as newbies thought were baked beans!) and there is a Tavern next door, should you have to use the facilities. 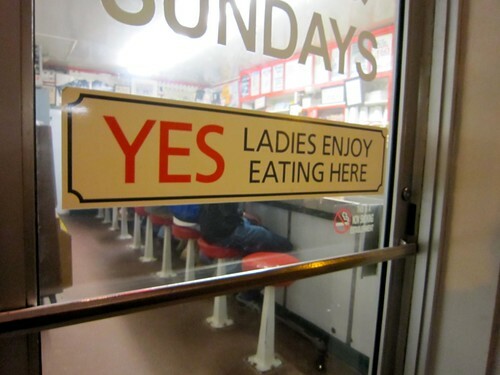 And yes, ladies enjoy eating here! 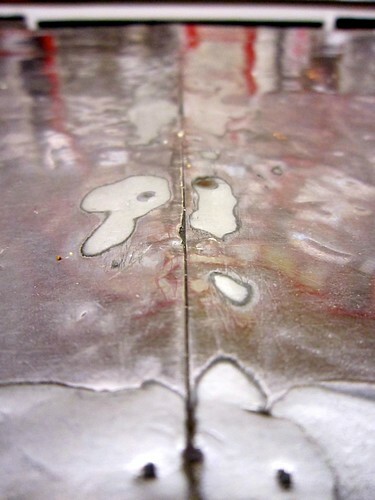 We sat ourselves down at the obviously original counter stools and well worn stainless steel counter top, and admired the decor that hasn’t changed much since it was opened. This diminutive 10 seat eatery serves up the local version of chili – which we thought initially was a that bowl of beans- out of towners for sure! But we were corrected quickly, and clued into the fact that if you wanted chili you just asked for a bowl. 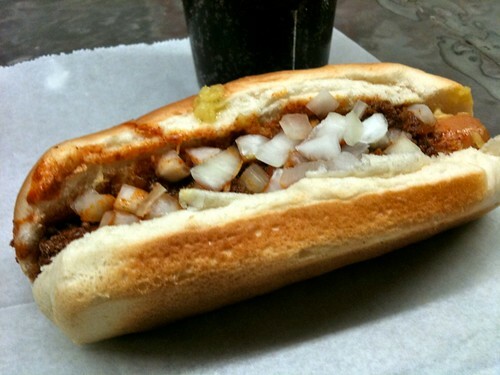 And like in Philly, if you want onions on your chili you ask for a “bowl with“. Another thing we clued into while absorbing the local atmosphere was folke were ordering “Cheesies” like there was no tomorrow. RetroRoadhusband was about to order another dog, but with my prompting he changed his order to a Cheesy – cheeseburger – again, all in the name of research. 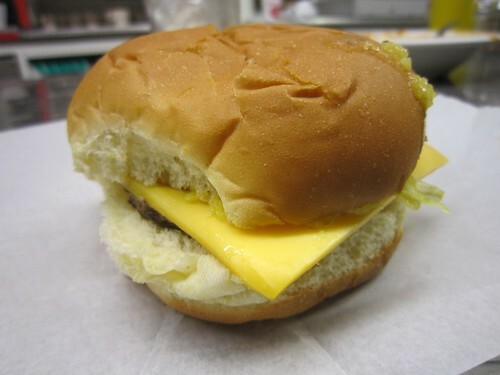 It was a small burger – cooked on the grill in the front window, with cheese, onions and their famous relish. I should’ve ordered one myself, but a bite or two of this one hit the late night spot. Just a few miles off of the highway, take the minutes to go to downtown Roanoke and step back in time at the Texas Tavern! Our short jaunt through Virginia ended up with a double shot of Retro Roadmap goodness when we found out that right up the hill from Dude’s Drive In Restaurant was the StarLite Drive In Movie Theater! When we asked our car hop waitress about the drive in theater she confirmed that the place was still running, and had just closed up that past weekend for the season. The screen is visible from the parking lot of Dude’s so how could we resist the urge to investigate a bit? 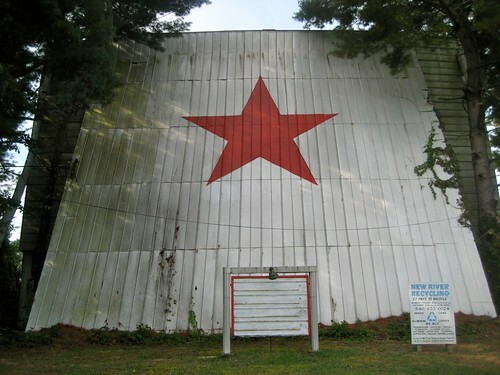 The internet reveals that the place has been around since 1952 and is one of the 9 remaining drive ins in the state. There is just the one screen and- cool beans- still uses the speakers you hook to your car window to get the sound for the film. 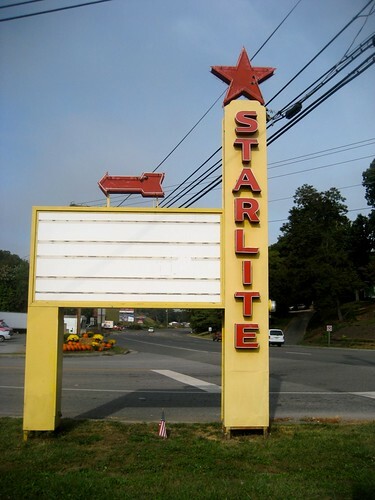 Speaking of sound (and again relying on the internet for this info) it is reported that The Starlite has a cool tradition of playing the song Stardust, at sundown before the show begins. This song “haunts my reverie” every time I hear it, so I will use this as an excuse to haunt you folks with it as well, as it is one of my faves. Long live the drive in movie theater and the great American songbook! 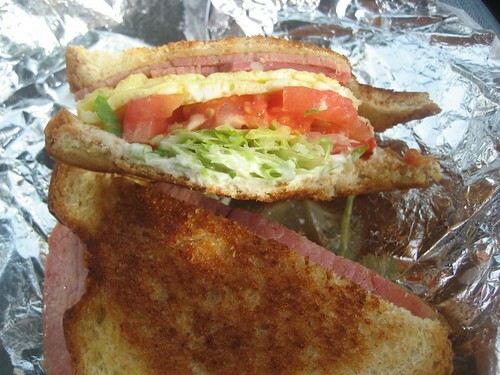 Dude’s Drive In Christiansburg VA – Best Breakfast Sandwich Ever! 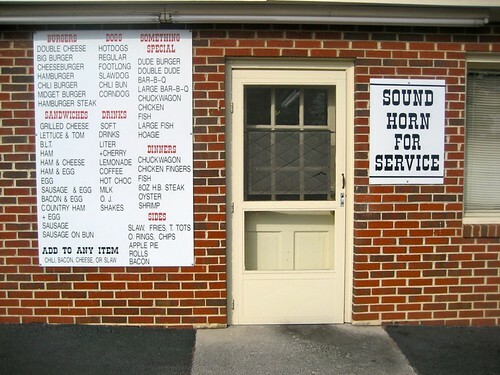 Dude’s Drive In in Christiansburg VA is our first Retro Roadmap entry for Virginia, and well worth them mention. 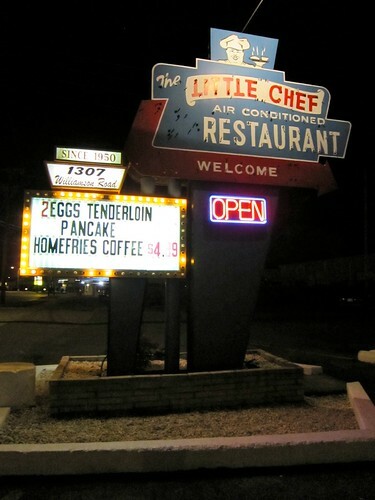 Just down the hill from the Starlite Drive In movies, Dude’s has been serving locals and folks just off of Interstate 81 since 1978. Kind of like a BLT with egg in it, the sandwich was perfectly grilled and crispy on the outside, glistening with butter and hammy goodness. One thing I did try per Roadfood was Virginia country ham, versus baked ham. The country ham was mighty tasty though on the salty side, but worked well with the melange of flavors in the sandwich. 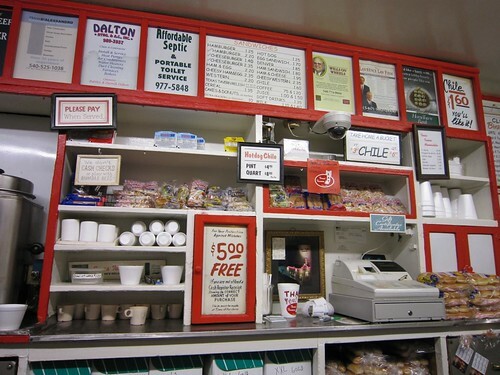 Dude’s offers all sorts of other foods for other times of the day and is known for it’s Dude Burgers and Red Hot Dogs topped with chili sauce, a local favorite. It’s convenient on / off access from the major highway make this an easy detour away from the boring sameness of the highway and chain restaurants. Always good to know about local stops like this when on a retro road trip!